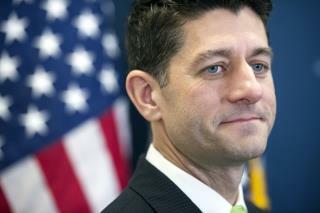 Quote of the day: House Speaker Paul Ryan was the last Republican to speak before voting began, and here was his big quote: "A lot of us have been waiting seven years to cast this vote. Many of us are here because we pledged to cast this very vote." Song of the day: Democratic representatives were overheard singing "nah nah nah nah, hey hey hey, goodbye" after the vote, presumably about 2018, tweeted CNN Chief National Security Correspondent Jim Sciutto, who added "Republicans carting beer into the Capitol." Wasting no time: Democratic senators began the day by tweeting their opposition. Over the course of 11 tweets, Sen. Sherrod Brown of Ohio catalogued a list of pre-existing conditions that could cause Americans to pay more for their insurance. "AIDS/HIV, acid reflux, acne, ADD, addiction, Alzheimer's/dementia, anemia, aneurysm, angioplasty..." Sen. Jeff Merkley of Oregon took a similar but shorter approach, tweeting: "Know anyone w/ cancer, old sports injury, bad back, diabetes? GOP voting to make their care way more expensive - if they can get it at all." Where we go from here: As for what's next, the Washington Post sees three paths: It could die in the Senate; the Senate could change it so extremely that the House then doesn't approve it; or the "ultimate path to victory" in which the Senate passes a version and the two houses manage to come to a compromise. But it's going to be a tough slog, and that's due to "reconciliation." What? NPR explains: Senate Republicans (there are 52 of them) won't be able to woo enough Democrats to hit the 60-vote threshold, so they'll have to go the "reconciliation" route, which lets a bill pass with a majority plus one. "But there's a catch—it has to be tied to the budget." Any policy that doesn't have a fiscal impact can't be included. No word from: the Congressional Budget Office. The House vote came as much as "weeks" before the CBO produces an official estimate of how much the plan costs or how it will affect coverage for Americans. More here. Trump's reaction: Following the vote, the president declared ObamaCare "essentially dead" and predicted the Senate will pass the AHCA, CNN reports. "This is a great plan. I actually think it will get even better," Trump said, predicting premiums would come down. "This is a repeal and replace of ObamaCare. Make no mistake about it." "Mission Accomplished?" Republicans trading lives in order to fatten their own wallets. 217-213? What a friggin embarrassment! This is the reason I'm a FORMER republican. Both houses and the presidency and they are being smacked around by a party that's an even larger pile of dung than they are.............Don't these dorks know they won yet?